A strong parent-teacher relationship is pivotal to a child's success. One of our goals is to bridge the gap between home and school, and to encourage that partnership as part of the learning process. 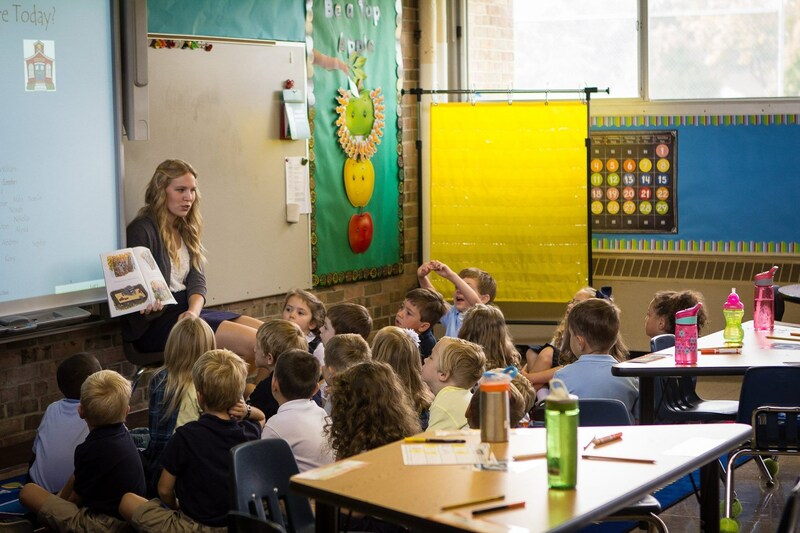 We provide an educational environment that is both stimulating and exciting. 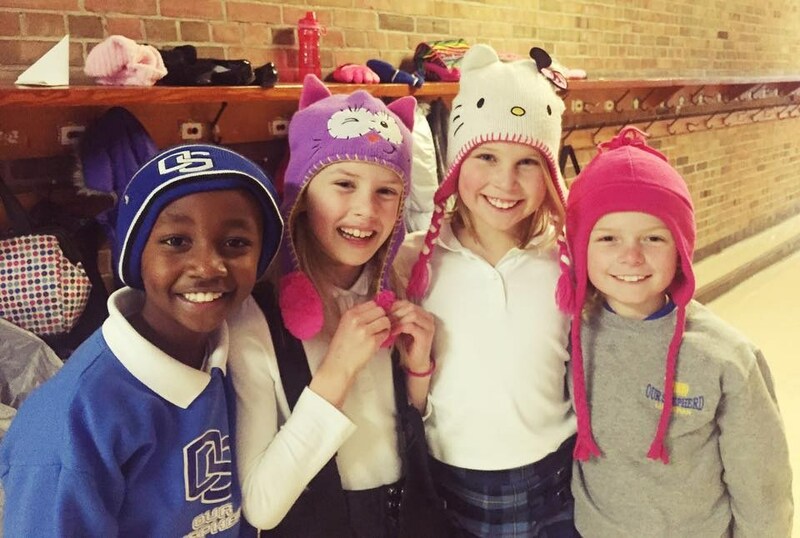 The needs of the whole child are addressed: spiritual, social, physical, and intellectual. 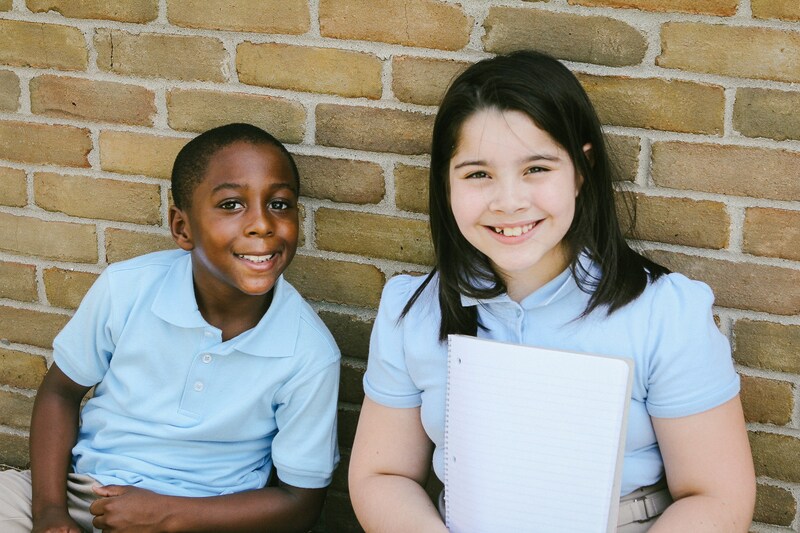 The elementary school curriculum focuses on the mastery of core subjects: English, science math, and history. 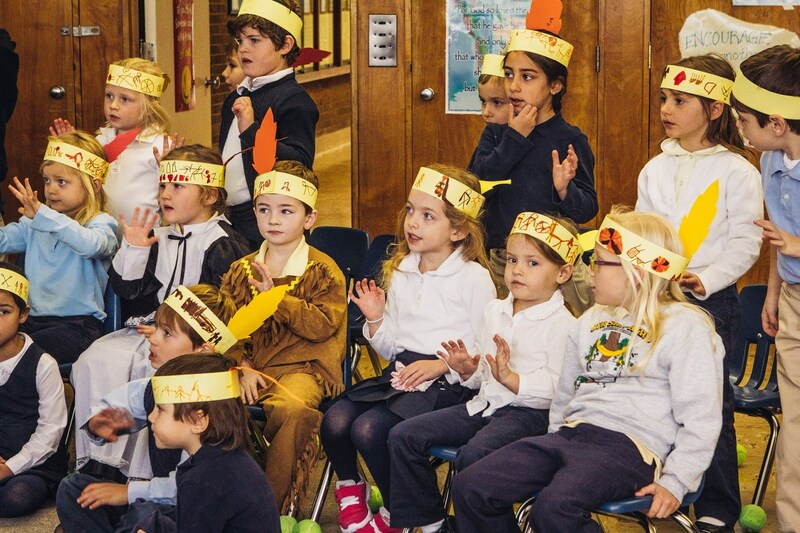 Character education is woven into all we do emphasizing moral development, respect for others, honesty, and gratitude. 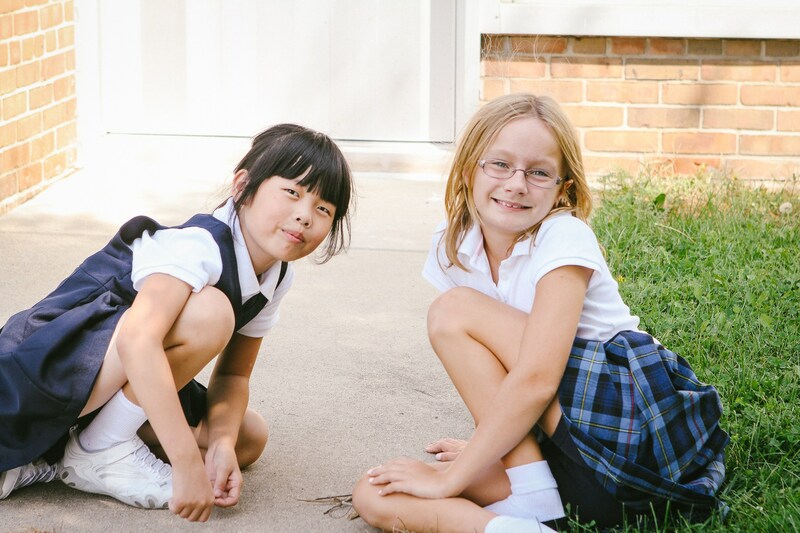 We want to equip your child to grow and face life's challenges with the peace and strength encompassed within God's grace, as well as the skills an excellent education can provide. 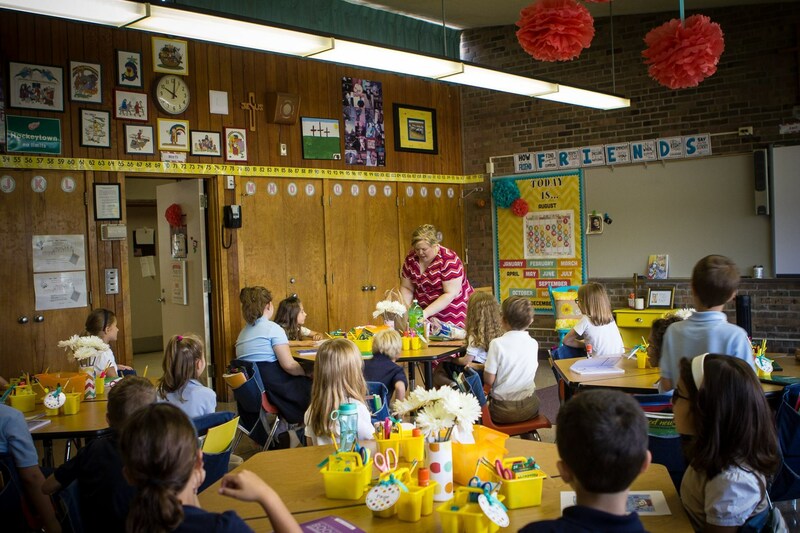 Elementary education at Our Shepherd lays the foundation for life-long learning and strong moral leadership. 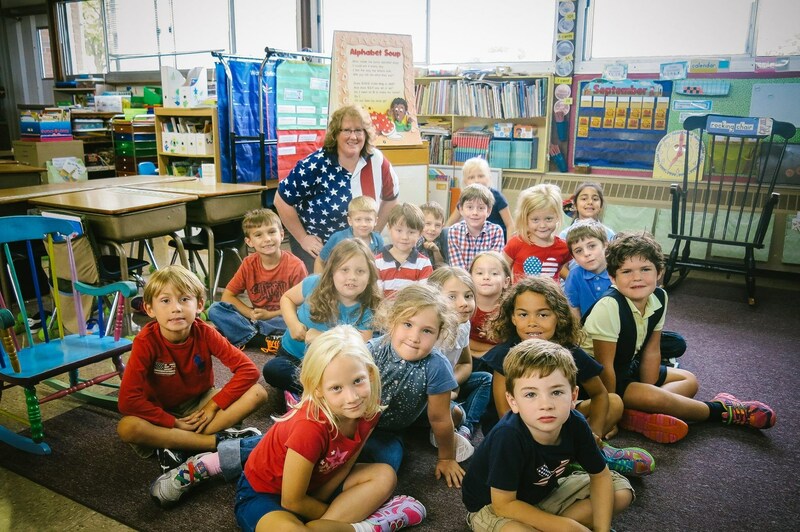 1st graders wearing red, white and blue on 9/11. Mrs. Kelso and her Kindergarten class. 2nd graders enjoying "Jitter Juice" on the first day of school. 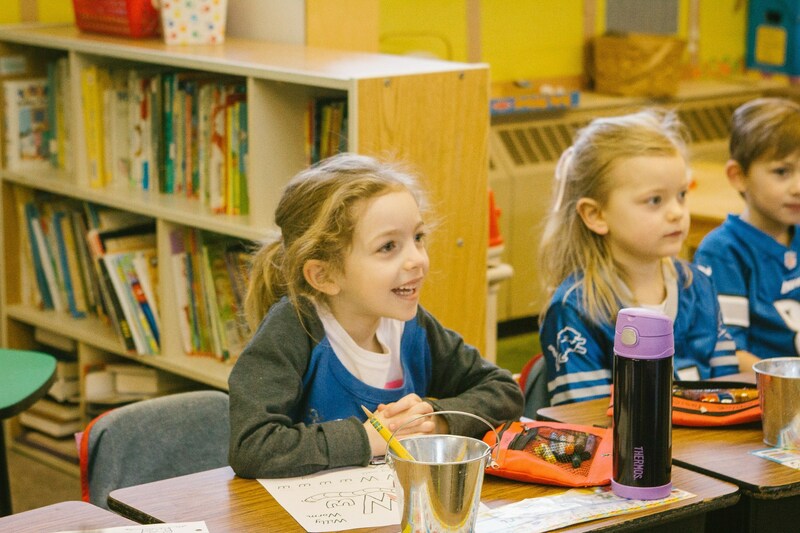 Kindergartners Skyping with students from England. 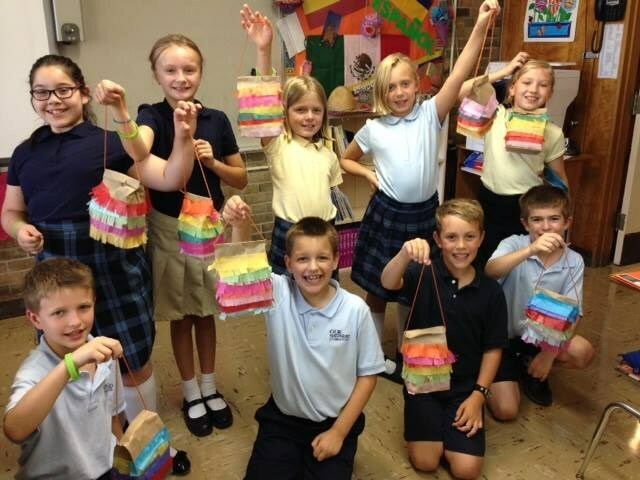 Students creating Pinatas in Spanish Class.